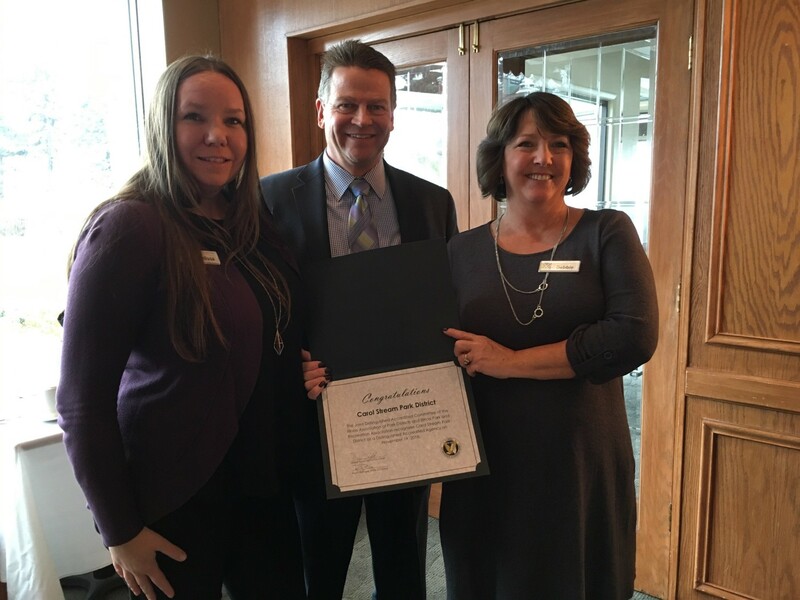 Nov 19, 2018 – Accepting the award are Melissa Adamson, Recreation Superintendent; Jim Reuter, Executive Director; and Debbie Greninger, Executive Assistant. Melissa and Debbie, with input from the entire staff, led the Distinguished Agency Accreditation process. The Park District also won this award in 2007 and 2012. 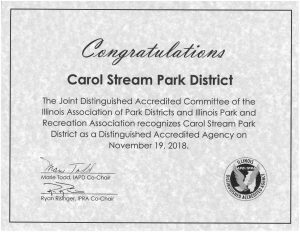 The Carol Stream Park District has been recognized as an Illinois Distinguished Accredited Agency by the Illinois Association of Park Districts (IAPD) and the Illinois Park and Recreation Association (IPRA). A park district or recreation agency interested in applying for Distinguished Accredited Agency recognition undergoes a detailed, lengthy process of application and evaluation. A Joint Distinguished Park and Recreation Accreditation Committee (JDPRAC) comprised of members from IAPD and IPRA coordinates the process. “Agencies submit a self-evaluation and a formal letter requesting admission into the process,” said Marie Todd, IAPD Co-Chair of the JDPRAC. 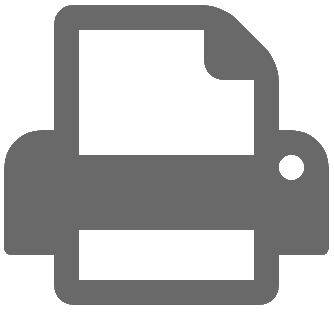 “If the committee determines the agency is eligible to continue the process, we send them an evaluation date.” The Carol Stream Park District began the self-evaluation process in November of 2017 and after being eligible, formally applied for the Illinois Distinguished Accreditation program in March of 2018. 1.1.1 Nice touch posting vision, mission statement on all facility entrances. 1.3.1 Well organized and consistent mission statement cascading down into objectives. 1.7.1 Nice job on New Board member manual. 3.2.7 Land Cash Policy very well written. 3.5.7 Great job obtaining LEED Certification. In compliance with the program, the Carol Stream Park District will be reevaluated in six years to verify that they have continued to demonstrate sound management practices in providing quality park and recreation services to the community.